Gripes: Stings your lips like crazy if you have chaps! Beeswax, Cocos Nucifera (Coconut) Oil, Helianthus Annuus (Sunflower) Seed Oil, Mentha Piperita (Peppermint) Oil, Tocopheryl Acetate, Lanolin, Symphytum Officinale (Comfrey) Root Extract, Tocopherol, Rosmarinus Officinalis (Rosemary) Leaf Extract, Glycine Soja (Soybean Oil), Canola Oil. This balm is priced at $2.99, and is available at Drugstore.com. For us Malaysian girls, we can order this through spree organizers like Sgdrugstore in Lowyat.net (he has ready stocks for this! :)) - I bought mine from him at RM19 per tube. Let me start by saying that I'm not a mint person actually. The only mint i can tolerate is the mint taste in my toothpaste. Otherwise i would avoid anything mint if i could! lol! So when i got this tube, imagine my horror at first when i took a whiff of this lipbalm! So after the reality has set in, i went on to try this one out. Well, i was pleasantly surprised because it is really not as bad as i thought it will be! lol! This gives your lips a nice cooling feel when you apply it, and that effect lasts about 5 - 10 minutes. It does, however, STINGS your lips if you have chaps. It is quite painful (for me who have a very low threshold for pain), but it goes away within a few minutes, so i just bear with it!! After the initial stinging, my chaps were not painful anymore (numb already, maybe? lol!!). My chaps healed completely within a day which is really great! I also like how it doesn't leave a waxy film on your lips like some lipbalms do! Credits: Product photo from Viewpoints.com. Minty feel I like! But stings chapped lips.. -_- I have chapped lips :( duh..
i heard that this lip balm is the best of theirs. LyNn: Awww... *hugs* i feel that this is a little expensive too, considering that it's selling for only $2.99 in the states! Vaseline and Lip Ice balms are full of chemicals. 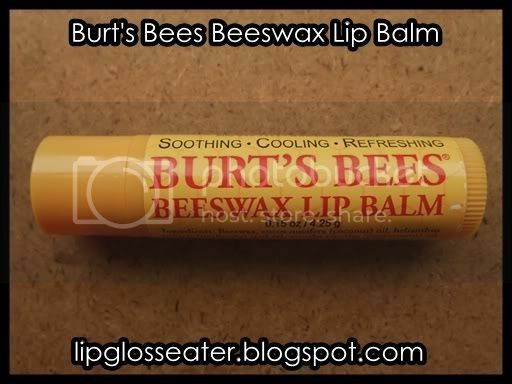 What's so great about Burt's Bees lip balms is that they are made of natural ingredients. Vaseline is made of petroleum, and why on earth should you put that on your skin! If you're worried that the mint stings your lips, try their other range, like the pomegranate lip balm, I'm in love with it. They recently opened a store in klcc, thank god! 19 ringgit?! It's 18 ringgit if you buy it at their outlets. Yeah, it's more pricey than other lip balms on the market.. But it lasts quite long and truly works! 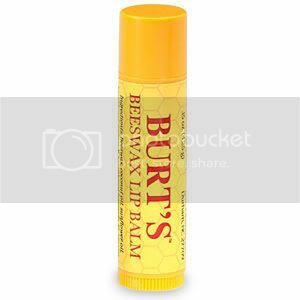 I've had super chapped lips before and went on to try many balms. Many of them were a disappointment, until I tried their medicated lip balm. It was a miracle! Never did I tried venturing to others. Their Ageless skin care range is a winner too. OMG !!! I SOOO KNW HW IT HURTS TO CHAPPED, DRY, FLAKY SKIN ON THE LIPS. I'VE HD DAT PRBLM FOR A YR NOW...& BELIEVE ME, I'VE TRIED EVRYTHNG - FRM OVR THE COUNTER MEDICATION, TO EVERY MEDICATED LIP BALM AVAILABLE IN THE PHARMACIES TO EXPENSIVE DERMATOLOGIST VISITS....NTHNG WORKED. 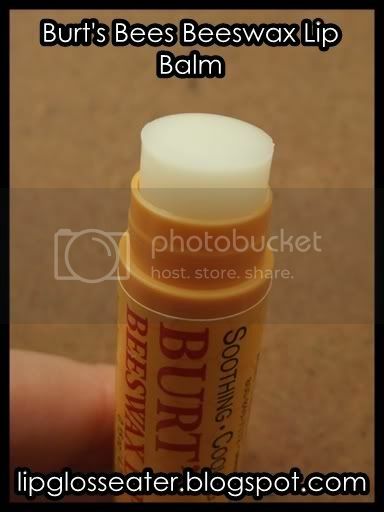 I TRIED BURT'S BEES MEDICATED BALM OUT OF SHEER DESPERATION YESTRDAY... & VOILA !!! MY LIP PRBLM DISAPPEARED... AFTR A MERE 3 HOURS OF USING IT !!! I'M SOOOO RELIEVED & GRATEFUL. IT'S A FANTASTIC PRODUCT... NT GREASY, NT OILY, NT DAT EXPENSIVE CONSIDERING THE MIRACULOUS RESULTS. RM 25.50 AS COMPARED TO THE DERMATOLOGIST BILL OF RM90 PER VISIT. THNK U, BURT'S BEES... NOW, I CN WEAR LIPSTICK AGAN...AFTR A YR. WOOO -HOOO !! !